The Congress alleges that the government finalised an overpriced deal for 36 Rafale fighter jets at an inflated price to benefit Anil Ambani. Congress president Rahul Gandhi today again repeated his charge that Prime Minister Narendra Modi benefited industrialist Anil Ambani in the Rafale jet deal. "Anil Ambani, who met the French defence minister, mentioned an MoU he is looking forward to sign after the Indian prime minister's visit to France. This is a breach of the official secrets act... the PM is the only other person who knows about this... in fact Anil Ambani opened his company after this meeting," he said. 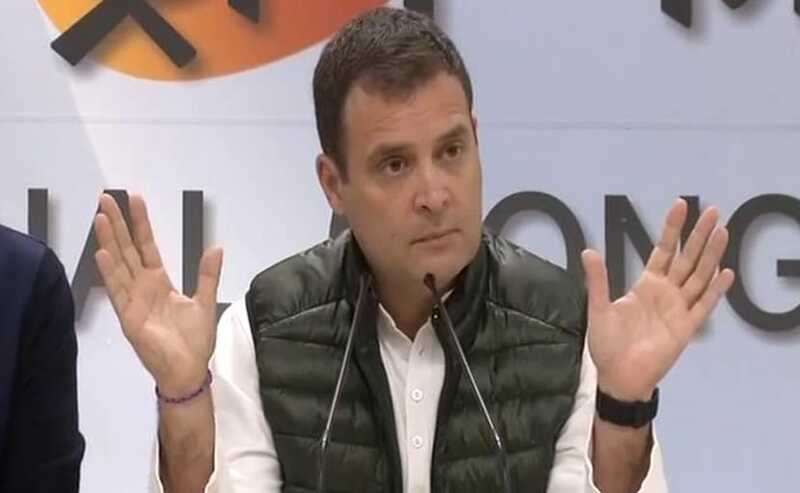 The BJP dismissed the allegations as height of shamelessness and irresponsibility on the part of the Congress president, and asserted that the e-mail he cited to criticise the prime minister referred to some chopper deal and not the purchase of the fighter aircraft. "He (Rahul Gandhi) has thrown muck at his own face by abusing our honest prime minister... We will expose his lies before the public," Union minister Ravi Shankar Prasad said. The New Document Rahul Gandhi Used Today To Target PM Modi Over Rafale | NDTV.com Video | Rahul Gandhi today continued his attack on Prime Minister Narendra Modi on Rafale deal by citing a copy of what he said was an email by an Airbus employee with details of the meeting. "PM has compromised national security, he has done what spies do," Rahul Gandhi said in a press conference." Indian Air Force Vice Chief Anil Khosla has backed the induction of Rafale jets into the air force. "Rafale induction into the Air Force will give a big boost to our combat capabilities," he was quoted by news agency ANI. Anil Ambani had met the French defence minister days before the signing of the deal during PM Modi's visit to France in 2015, Rahul Gandhi said, quoting from an e-mail written by an Airbus executive to a French official. This is a breach of the official secrets act... the PM is the only other person who knows about this... in fact Anil Ambani opened his company after this meeting. This is a very serious issue... the Prime Minister now absolutely must reply on this. What is going on? The Defence Ministry does not know, the Defence Minister does not know. Only the Prime Minister knows... and then you see, Anil Ambani knows. This is no longer just a matter of corruption, it is a matter of the official secrets act, and therefore a national security issue... the Prime Minister has done what spies do. He has divulged issues of national security to someone else. India's biggest defence plan, something that even the Defence Minister doesn't know, nor does the foreign secretary, but Anil Ambani knows... and the only other person who knows is the Prime Minister. These 3 things - corruption, procedure, and national security - these just have to be investigated. No one will be spared in this. Congress president Rahul Gandhi cited an e-mail to claim the businessman was aware of the MoU (Memorandum of Understanding) before India and France signed it.